A new study has confirmed that the drug, ivacaftor, significantly improves lung function in some people with cystic fibrosis (CF). The results of the phase III clinical trial study, "A CFTR Potentiator in Patients with Cystic Fibrosis and the G551D Mutation," led by Dr. Bonnie W. Ramsey of Seattle Children's Research Institute and the University of Washington, were published in the November 3, 2011 issue of the New England Journal of Medicine. Ivacaftor, also known as VX-770, was developed by Vertex Pharmaceuticals with financial support from the Cystic Fibrosis Foundation. The oral medicine targets the defective protein produced by the gene mutation called G551D that can cause CF. Researchers found that CF patients carrying the G551D mutation – approximately four per cent of all CF patients – who were treated with VX-770 showed a 17 per cent relative improvement in lung function that was sustained over the course of 48 weeks. Additionally, patients with G551D treated with VX-770 showed improvements in other areas critically important to the health of people with CF. Study participants experienced significant reductions in sweat chloride levels indicating an improvement in the body's ability to carry salt in and out of cells – a process, which when defective, leads to CF. They also experienced decreased respiratory distress symptoms and improved weight gain. Those who received VX-770 gained on average seven pounds compared to those in the placebo group who gained approximately one pound. This is significant because many people with CF have difficulty gaining and maintaining weight due to reduced lung function and chronic infection. "Our study shows that we are now able to improve the quality of life for cystic fibrosis patients with the G551D mutation with the administration of VX-770," said Dr.
Cigarettes and alcohol serve as gateway drugs, which people use before progressing to the use of marijuana and then to cocaine and other illicit substances; this progression is called the "gateway sequence" of drug use. An article in the November 2, 2011 issue of Science Translational Medicine by Drs. Amir Levine, Denise Kandel, and Eric Kandel, and colleagues at Columbia University Medical Center provides the first molecular explanation for the gateway sequence. They show that nicotine causes specific changes in the brain that make it more vulnerable to cocaine addiction -- a discovery made by using a novel mouse model. Alternate orders of exposure to nicotine and cocaine were examined. [Referential web site: http://www.dependency.net/]The authors found that pretreatment with nicotine greatly alters the response to cocaine in terms of addiction-related behavior and synaptic plasticity (changes in synaptic strength) in the striatum, a brain region critical for addiction-related rewards. On a molecular level, nicotine also primes the response to cocaine by inhibiting the activity of an enzyme―histone deacetylase―in the striatum. This inhibition enhances cocaine's ability to activate a gene called FosB gene, which promotes addiction. The relationship between nicotine and cocaine was found to be unidirectional: nicotine dramatically enhances the response to cocaine, but there is no effect of cocaine on the response to nicotine. Nicotine's ability to inhibit histone deacetylase thus provides a molecular mechanism for the gateway sequence of drug use. Nicotine enhances the effects of cocaine only when it is administered for several days prior to cocaine treatment and is given concurrently with cocaine. Did climate change or humans cause the extinctions of the large-bodied Ice Age mammals (commonly called megafauna) such as the woolly rhinoceros and woolly mammoth? Scientists have for years debated the reasons behind the Ice Age mass extinctions, which caused the loss of a third of the large mammals in Eurasia and two-thirds of the large mammals in North America, and now, an inter-disciplinary team from more than 40 universities around the world led by Professor Eske Willerslev and his group from the Centre for GeoGenetics, University of Copenhagen, has tried to answer the contentious question in one of the biggest studies of its kind ever. The study by the team, which includes two Texas A&M University professors, is published online on November 2, 2011 in the journal Nature and reveals dramatically different responses of Ice Age species to climate change and human impact. Using ancient DNA, species distribution models, and the human fossil record, the findings indicate that neither climate nor humans alone can account for the Ice Age mass extinctions. "Our findings put a final end to the single-cause theories of these extinctions," says Dr. Willserslev. "Our data suggest care should be taken in making generalizations regarding past and present species extinctions; the relative impacts of climate change and human encroachment on species extinctions really depend on which species we're looking at." The study reports that climate alone caused extinctions of woolly rhinoceros and musk ox in Eurasia, but a combination of climate and humans played a part in the loss of bison in Siberia and of wild horse. While the reindeer remain relatively unaffected by any of these factors, the reasons behind causes of the extinction of the mammoth remain unresolved. 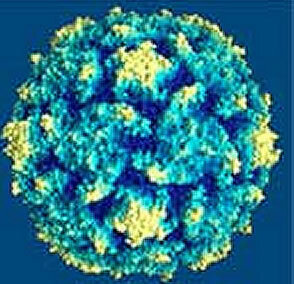 Epstein-Barr virus (EBV) infects nine out of ten people worldwide at some point during their lifetimes. Infections in early childhood often cause no disease symptoms, but people infected during adolescence or young adulthood may develop infectious mononucleosis, a disease characterized by swollen lymph nodes, fever, and severe fatigue. EBV also is associated with several kinds of cancer, including Hodgkin lymphoma and stomach and nasal cancers. Organ transplant recipients and people infected with HIV (who become infected with or who already are infected with EBV) also may develop EBV-associated cancers. There is no vaccine to prevent EBV infection and no way for doctors to predict whether an EBV-infected person will develop virus-associated cancer. In a new article from the National Institutes of Health (NIH) and published in the November 2, 2011 issue of Science Translational Medicine, Dr. Anthony S. Fauci, director of the National Institute of Allergy and Infectious Diseases (NIAID), and Dr. Harold Varmus, director of the National Cancer Institute (NCI), join Dr. Gary Nabel, director of NIAID's Vaccine Research Center, and Dr. Jeffrey Cohen, chief of NIAID's Laboratory of Infectious Diseases, in summarizing a recent meeting of experts who gathered to map directions toward an EBV vaccine. Although it may not be possible to create a vaccine that completely prevents EBV infection, the authors note, clinical observations and results from clinical trials of an experimental EBV vaccine suggest that it may be possible to create an EBV vaccine capable of preventing the diseases that sometimes follow EBV infection. One of the few reliable ways to extend an organism's lifespan, be it a fruit fly or a mouse, is to restrict calorie intake. Now, a new study in fruit flies is helping to explain why such minimal diets are linked to longevity and offering clues to the effects of aging on stem cell behavior. Scientists at the Salk Institute for Biological Studies and their collaborators found that tweaking a gene known as PGC-1, which is also found in human DNA, in the intestinal stem cells of fruit flies delayed the aging of their intestines and extended their lifespans by as much as 50 percent. "Fruit flies and humans have a lot more in common than most people think," says Dr. Leanne Jones, an associate professor in Salk's Laboratory of Genetics and a lead scientist on the project. "There is a tremendous amount of similarity between a human small intestine and the fruit fly intestine." The findings of the study, which was a collaboration among researchers at the Salk Institute for Biological Studies and the University of California, Los Angeles, were published in the November 2, 2011 issue of Cell Metabolism. Scientists have long known that calorie restriction, the practice of limiting daily food intake, can extend the healthy lifespan of a range of animals. In some studies, animals on restricted diets lived more than twice as long on average as those on non-restricted diets. While little is known about the biological mechanisms underlying this phenomenon, studies have shown that the cells of calorie-restricted animals have greater numbers of energy-generating structures known as mitochondria. In mammals and flies, the PGC-1 gene regulates the number of these cellular power plants, which convert sugars and fats from food into the energy for cellular functions. This chain of connections between the mitochondria and longevity inspired Dr.